I got the idea for this from Kat Brown on Pinterest of course! There is something about being exhausted during a week of night shifts that makes me want to bake. Probably because i’m always baking comfort food. 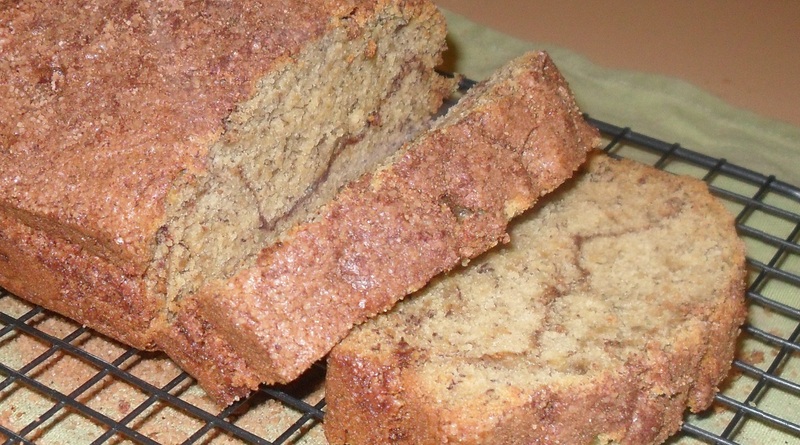 I went to the IGA down the street today and got some old bananas from the boys to make some banana bread. It was DIVINE. The cinnamon makes a beautiful difference to the original. I did alter the original recipe slightly to suit my pan and my tastes. I prefer my banana bread not too sweet. In a small dish, mix together the sugar and cinnamon. Add half of the batter to the loaf pan and then sprinkle half, or a little more than half of the cinnamon-sugar mixture all over the batter in the pan. Add the rest of the batter, and then sprinkle the leftover cinnamon-sugar on top. Bake for 35-40 minutes, until a skewer comes out clean. Remember, if you’re using a different-sized loaf pan, be careful and keep a close eye on it. I ate mine still warm, and walked down the street to share it with the boys from the IGA. According to them I’m an ‘absolute legend’! Notice the steam coming off the bread in the photo! However, I think It will still be delicious cold! 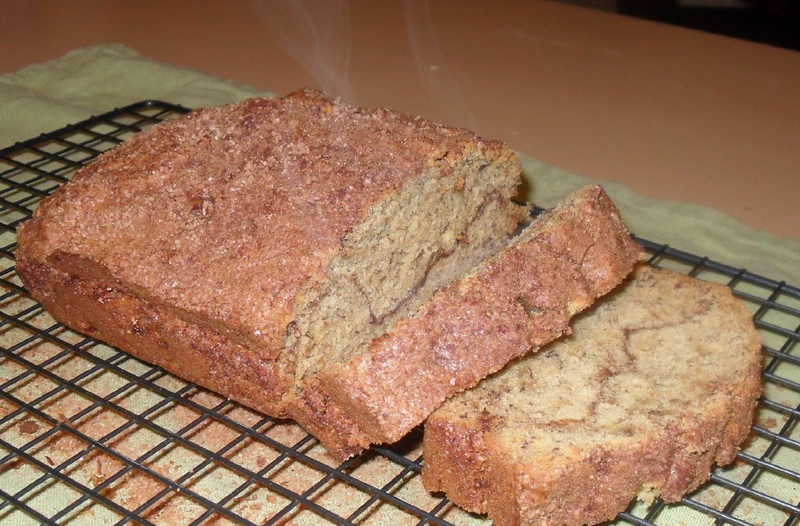 The link to the original is http://www.lovintheoven.com/2010/03/cinnamon-swirl-banana-bread.html.